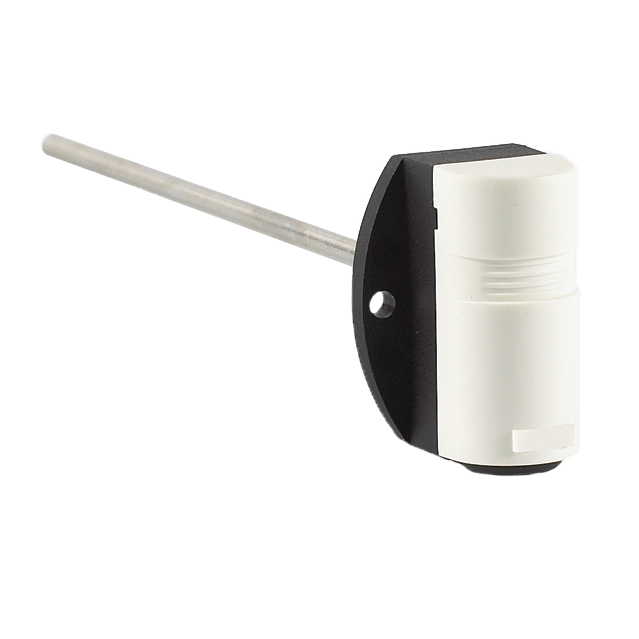 Tasseron’s duct sensor series come with our quick connect terminals and make installation fast and easy which reduces installation costs. They are available in multiple lengths and thermistors and are compatible with all major control manufacturers. Galvanized steel enclosure and stainless steel AISI 316L probe for both commercial and industrial applications. The dual insulated, high quality, closed cell foam ensures sealing of the probe insert and absorption of vibration. The dual-slotted, Quick Attach foamed cover and quick connect terminals makes installation easy and reduce installation costs. Injection-molded plastic enclosure and stainless steel AISI 316L probe provides a cost-effective solution for both commercial and industrial applications. Available measuring elements interface with all major control manufacturers. Accurate passive thermistors and RTD's ensure low drift and are double encapsulated to guarantee the highest reliability. Also available with a 4-20mA transmitter signal. The installed closed cell foam ensures sealing of the probe insert and absorption of vibration. The Quick Snap Cover and quick connect terminals make installation easy and reduce installation costs. High quality universal Duct VAV Temperature Senosr with injection-molded plastic enclosure and stainless steel AISI 316L probe provides a cost-effective solution for both commercial and industrial applications. The installed, high quality, closed cell foam ensures sealing of the probe insert and absorption of vibration. The Quick Snap Cover and quick connect terminals make installation easy and reduce installation costs. 2', 6' 9' or 12' plenum rated cable included. Injection-molded plastic flange and stainless steel AISI 316L probe provides a low-cost solution for both commercial and industrial applications where a sensor enclosure is not required. The installed, high quality, closed cell foam ensures sealing of the probe insert and absorption of vibration. The quick connect terminals make installation easy and reduces installation costs. 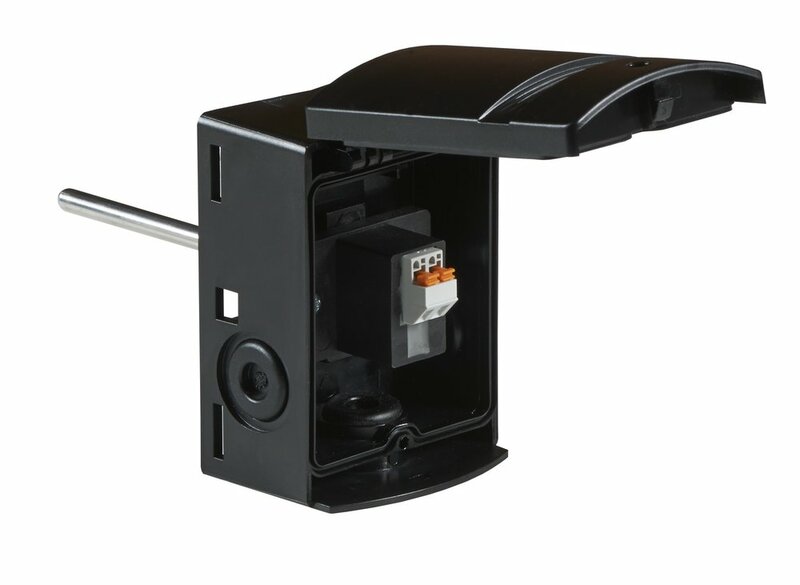 A VAV-version with plenum rated cable and connectors is available. Q-Duct Flange Sensor with 2', 6', 9' or 12' plenum rated VAV cable included. The installed, high quality, closed cell foam ensures sealing of the probe insert and absorption of vibration. The patent pending Quick Connect System makes installation easy and reduces installation costs. 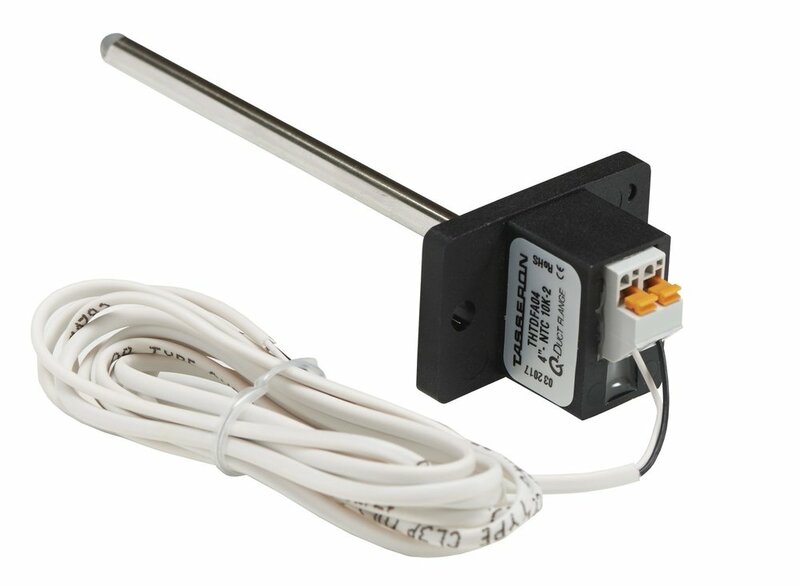 High quality universal Duct Temperature Sensor with weatherproof NEMA 4X injection-molded polycarbonate enclosure and stainless steel AISI 316 probe provides a cost effective solution for both commercial and industrial applications. Available measuring elements interface with all major control manufacturers. Accurate thermistors and RTDs ensure low drift and are double encapsulated to guarantee the highest reliability in the field. The installed, high quality, closed cell foam ensures sealing of the probe insert and absorption of vibration. 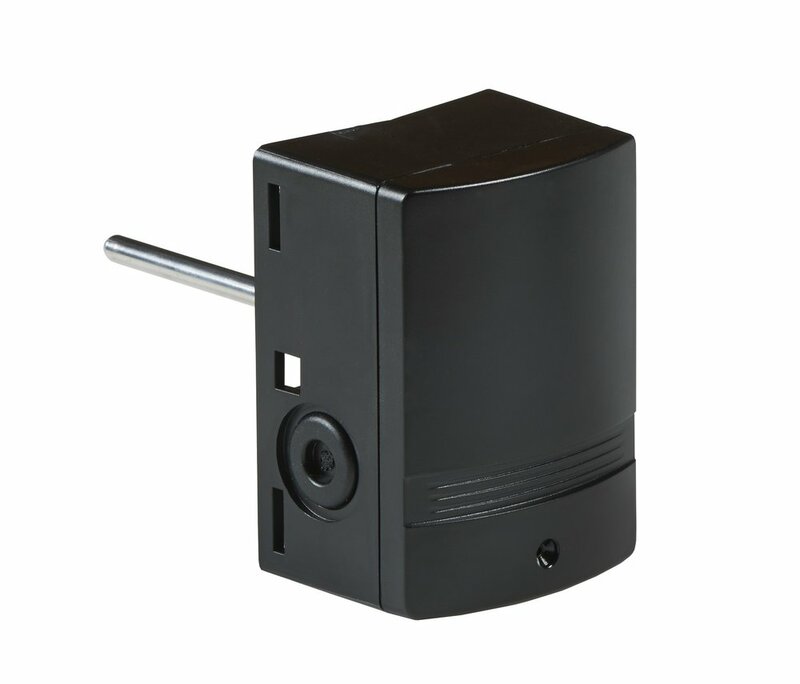 Quick Hinge and Snap Cover with patent pending Quick Connect System make installation easy and reduce installation costs.